In the Liberty to Libya project an augmented reality dove is currently circling the city of Tripoli, Libya. The dove is carrying a scroll on which tweets from around the world can be seen. 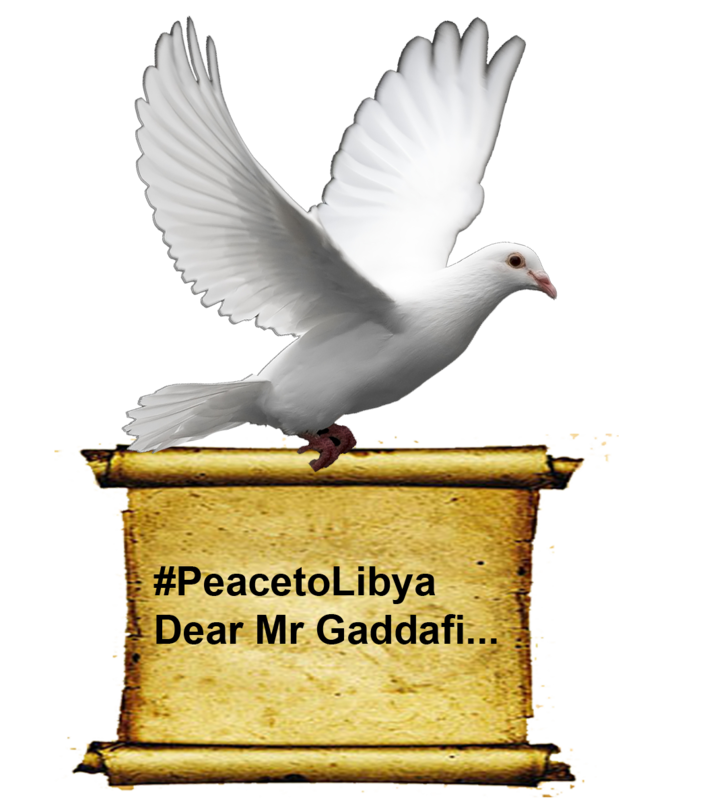 To use the project participants need only log into their twitter accounts and tweet with the phrase- #peacetolibya in the tweet. The participants tweet will be displayed on the the scroll carried by the dove above real world Libya. As the dove flies it will attempt to locate Muammar Muhammad al-Gaddafi. If it is successful it will land and deliver the scroll to him. The dove will then attempt to follow him as he changes location. An augmented reality app is about to be released which will allow participants to view the dove above Libya in realtime. More in the next few days!